Cecil Bernard Hinshaw3 [Cecil B. Henshaw4]. Mary N. Hinshaw, age 92, of Winchester, died at home after an extended illness on September 12, 2008. Born in Winchester, she was the daughter of the late Roy and Effie Mosier. She graduated from Lincoln High School in 1934 and attended Crossroads Bible College in 1969 where she received a certificate for General Bible Class and Bible Artistry. She was a seamstress, often making her own patterns from newspaper. She wrote three poetry books and was a recognized poet with the National Society of Poets. She was an active longstanding member of the Dunkirk Quaker Friends Church in Winchester, serving in various capacities: as an elder of the church, Sunday school teacher, monthly meeting clerk, oversight committee, and held a minister’s license in 1973-74. She was an avid "prayer warrior." She enjoyed going to Florida in the Winter to church camp meeting. Mary deeply loved the Lord, her church, and her family. She had a wonderful sense of humor to the very end. Her family and friends are saddened by their loss, but rejoice in the knowledge that she has gone to her heavenly home. Mary was employed at Hardy’s, the tomato factory, and Anchor Hocking (seven years) before going to Selma Wire, where she retired after 28 years. She is survived by her husband of 35 years, Cecil Hinshaw of rural Winchester; a son, Franklin (Sandra) Potter of Churubusco; two step-sons, Roderick (Barbara) Hinshaw of Losantville and Paul Hinshaw of Hagerstown; two sisters, Mae Mills and Edrie Mullen, both of Winchester; three brother-in-laws: Hubert (Betty) Hinshaw of Avon, Robert (Vera) Hinshaw of Colorado Springs, CO, and Donald (Shirley) Hinshaw of New Castle; seven grandchildren, 12 great grandchildren, and two great-great grandchildren. She was preceded in death by her first husband, Sater Potter; four brothers, Ralph, Fred Ernie, and Morton Mosier; a sister, Ruth Mosier; and a step-son, James Hinshaw. Funeral Services will be at 10:00 a.m. on Tuesday, September 16, 2008 at the Dunkirk Friends Church, west of Winchester, with Rev. Phil Mahoney officiating. Burial will follow in Woodlawn Cemetery in Maxville. Friends and family may call from 4 - 8 p.m. on Monday, September 15 at Walker Funeral Home in Winchester. Memorials can be made to the State of the Heart Home Care and Hospice, 410 W. Votaw St., Portland, IN 47371. The visitation and funeral service will be under the direction of Macer-Hall Funeral Home. Online condolences may be directed to www.macerhall.com. Rev. Cecil Hinshaw, 92, of Hagerstown, left this world to live eternally with his Lord and Savior, Jesus Christ, on Tuesday, August 14, 2012 at Glen Oaks Health Campus. 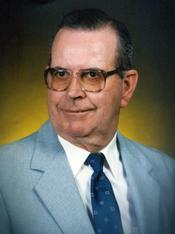 He was born June 24, 1920 in Henry County to the late William and Edith (Evans) Hinshaw. He attended Hagerstown Schools and graduated from God's Bible School in Cincinnati, Ohio. Rev. Hinshaw served as Pastor in Henry, Randolph, Wayne and Delaware Counties, beginning in 1954. He married Martha F. Root in 1940 and she assisted him in the ministry until her death in 1972. Following her death, he married Mary Potter, also now deceased. He was a member of Central Yearly Friends serving as superintendent, past president of Cherry Grove Camp and Randolph Holiness Camp and served on the board of Wayne County Camp. He was a member of Dunkirk Friends Meeting. Cecil proudly served his county in the U.S. Army during World War II and was stationed in Leyte, Philippines. He worked at Perfect Circle in Hagerstown for 27 years and retired from Magna Machine and Tool. He leaves behind a legacy of love for Jesus Christ to all who knew him. Survivors include two sons, Roderic (wife: Barbara) Hinshaw, of Losantville and Paul Hinshaw of Hagerstown; a stepson, Franklin (wife: Sandra) Potter of Churubusco; four grandsons, Terry Hinshaw and Mark (wife: Deanna) Hinshaw both of California; Bill (wife: Sherrie) Timmons of Modoc and Earl (wife: Annette) Timmons of Florida; a granddaughter, Barbara (husband: Josh) Hinkle of Oklahoma; eight great-grandchildren; three brothers, Hubert (wife: Betty) Hinshaw of Avon, Robert (wife: Vera) Hinshaw of Colorado Springs, Colorado and Donald (wife: Shirley) Hinshaw of New Castle; and numerous cousins, nieces and nephews. He was preceded in death by his first wife, Martha Faye, in 1972; a son, James Hinshaw, in 1995; his second wife, Mary, in 2008; a sister, Opal Smith and two brothers in their youth. Funeral services are 11 a.m. Saturday at Sproles Family Funeral Home with Pastor Phillip Mahoney officiating. Burial will follow at Mooreland Cemetery with a contingent from the U.S. Army, American Legion and V.F.W. providing military honors. Friends may call from 4 - 8 p.m. Friday and one hour prior to the funeral at the funeral home. Online condolences may be expressed at www.sprolesfamilycares.com. Obituary of Mary N. (Mosier) Hinshaw.